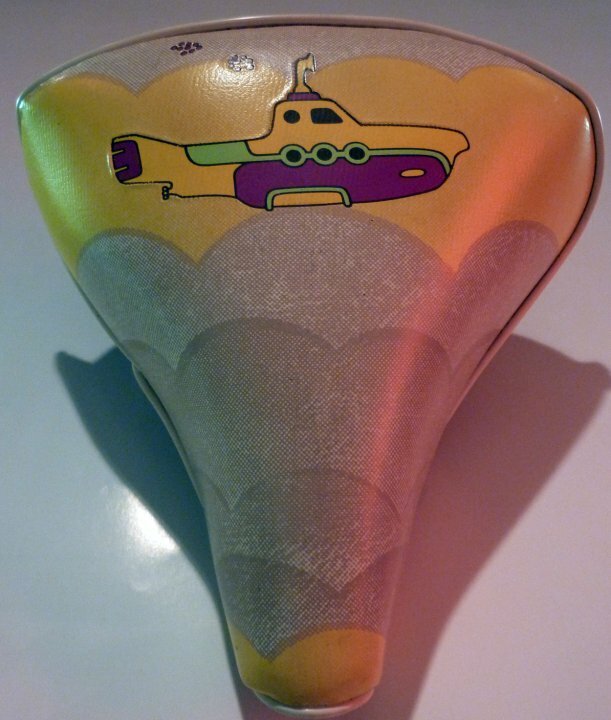 Liverpool Beatles Auction: We all ride on a Yellow Submarine? 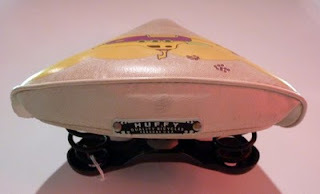 We all ride on a Yellow Submarine? I love it when I get to see novelty Beatles items I've never seen before. This Yellow Submarine bicycle seat is one of those items! It was made by Huffy in the USA and dates from 1968 to tie in with the film. Not sure you would want to use it as an actual bicycle seat nowadays as it carries an estimate of £700-£800. Press enquiries should be made through the same contact link. Better images of items can be made available to the press upon request. EMI Promotional posters for NEMS artists. Liverpool Institute School Motto Patch. A couple of interesting artefacts.